Canadians who purchased the HTC One M9 won’t have to wait much longer to see their smartphone updated to Android Marshmallow. Responding to a question sent to him over Twitter, Mo Versi, vice president of product management at HTC, said the update will arrive sometime early next year. He also noted Canadians carriers will initially push Android 6.0, not 6.0.1, to the One M9, meaning those who bought HTC’s 2015 flagship from one of will have to wait a bit longer to get access to the expanded emoji set that comes with the latest version of Google’s operating system. In late October, Telus updated its software release schedule, revealing it planned to update the One M9 to Marshmallow on January 21st. 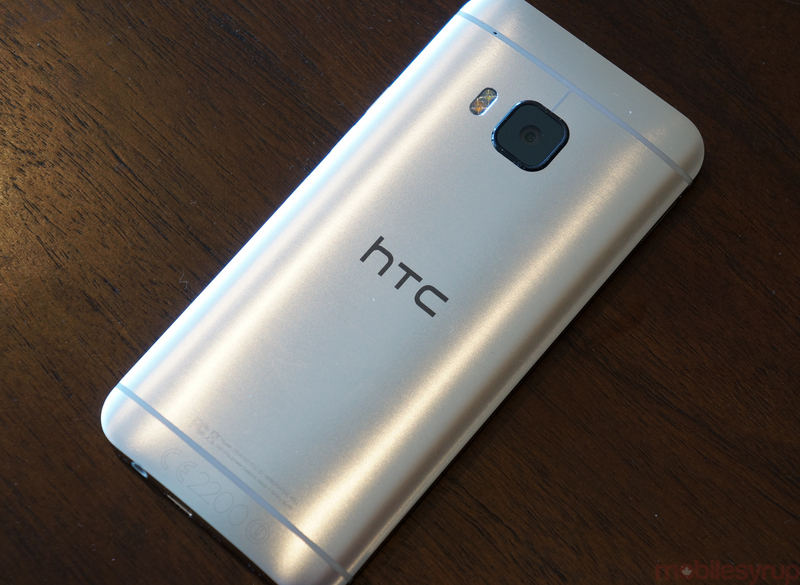 Based on Versi’s comments and HTC’s past history of updating its phones, it’s likely the other Canadian carriers will update the One M9 to Marshmallow around the same time as well. 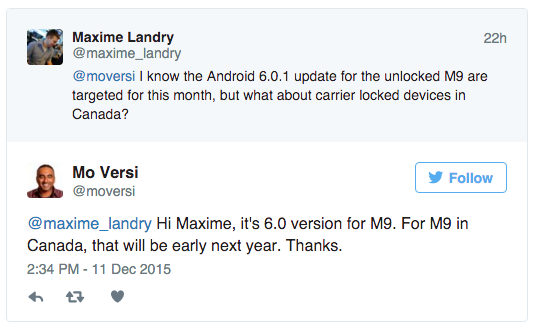 The Telus post also notes the One M8 will be updated to Android 6.0 on December 17th, which is less than a week away.